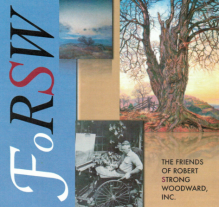 RSW- Artwork page, "Early Autumn, Chalk"
This drawing has gone overlooked for many years. One of the reasons is it sharing a name with the oil painted in the same year and later "cut-down" because of a controversal composition. 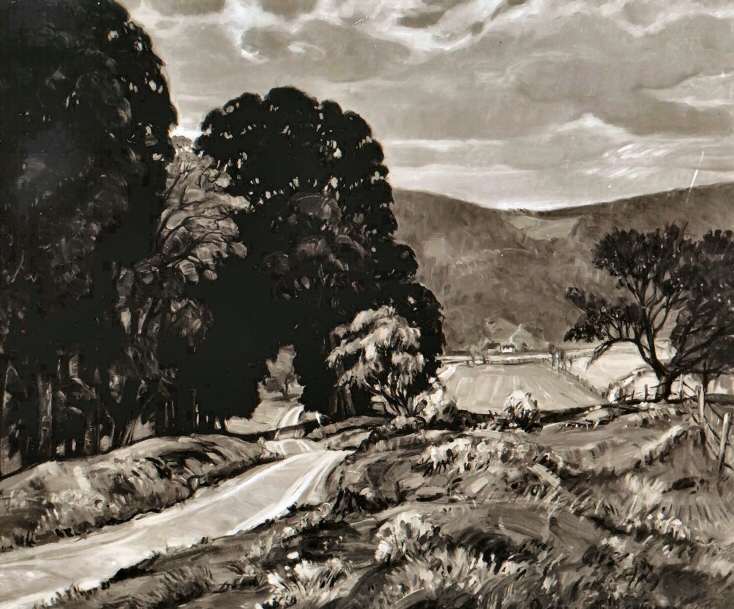 This drawing's whereabouts are unknown and we do not know if its composition is the same or similar to its oil namesake. See also the... Roads & Streets Gallery to view related pieces. See also the Burning Autumn Gallery to view related pieces. See also Down an August Road to view related pieces. See also In Early Autumn, Oil, to view related pieces. See also The Home Road to view related pieces. See also The Road Home, Chalk, to view related pieces. See also Early Autumn, Oil, to view related pieces. 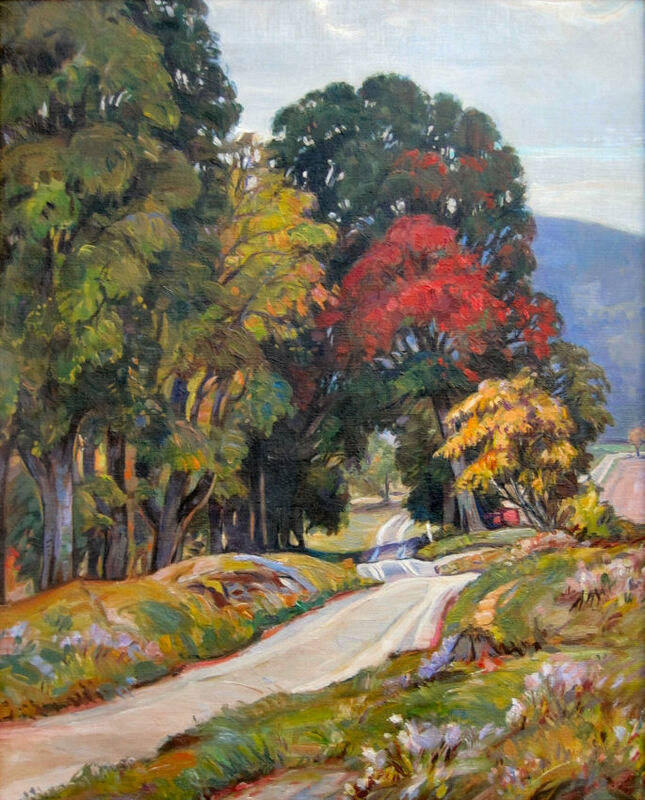 The above image is of In Early Autumn, Oil painted in the same year, 1939. RSW never commented on his chalk drawings except when exhibited. They were noted in his exhibition records and the only reason we know this drawing exist. Not much is known of this chalk drawing other than it exhibited 3 times beginning in 1939, in the same year as In Early Autumn, Oil, first exhibited. 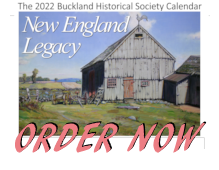 Given the information we have, we assume it is of a similar composition as one of the 5 other paintings and most likely, closest to In Early Autumn, Oil. In Early Autumn, Oil, was sent to Los Angeles for Harold Grieve's client Gussie Borun. She did not like it and it was returned to RSW in 1941. This means the chalk and oil are not being confused with each other. Each piece has its own documneted journey and separate exhibits. "Painted in 1945. 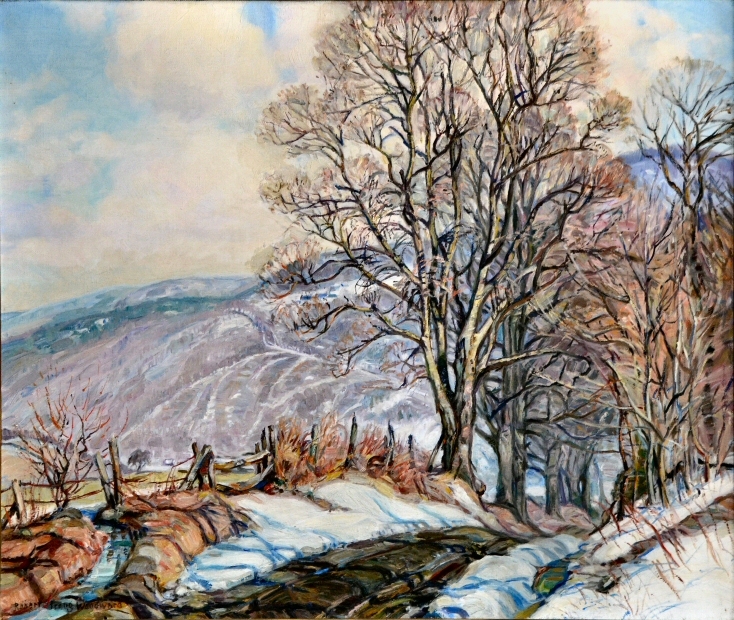 Exhibited at Vose Galleries in 1945."